Soho Hospitality’s portfolio includes the 163 key Fraser Suites Sukhumvit property and 4 f&b outlets including Above Eleven, Charcoal Tandoor Grill & Mixology, Havana Social and Cantina Wine Bar & Italian Kitchen. Soho Hospitality introduced new outlets as part of its f&b expansion including the opening of its flagship Above Eleven in Bali, Indonesia and Brasserie Cordonnier in Bangkok, Thailand in 2017. Additional outlets are slated for opening in 2018. Soho hospitality also operates an interior design services and f&b consulting arm which designs hotels, resorts, restaurants, bars and nightclubs for the likes of Starwood, IHG, Accor, Taj Hotels, Moevenpick, Dusit International and Anantara. Soho Hospitality has received numerous accolades and awards including the World Travel Award in 2011 and the Asia Pacific Property Award in 2015 and 2016. 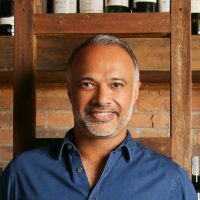 Rohit is a graduate of the Stern School of Business at New York University and is regularly invited to participate as a panellist in key hospitality and F&B conferences across the region including the Hotel Investment Conference South Asia, Hotel Management Summit, Global Restaurant Investment Forum.